I have just returned from a knitaway break to Buxton in the company of 8 lovely knitters. This was a new venue for us – the Alison Park Hotel . It is a family run hotel in a large arts and crafts style house just a stone’s throw from Pavilion Gardens and therefore very easy strolling distance of the town centre. It proved to be a very good knitters’ venue – the rooms were all ensuite and spacious, they have 2 lounges, one of which was ours exclusively, and a light and airy dining room, part of which is a conservatory and a perfect size for our meals and workshops. The staff and managers were very friendly and nothing was too much trouble. The food and drink was plentiful and good. Do you remember the beaded crochet and knit pouches? Well that was the subject of the second workshop. Some ladies wanted to knit and some wanted to crochet, but everyone had a go. Of course with all the nattering we didn’t quite finish these beaded pouches, even with 4 days away. This is the one I made, finished at Buxton except for the lining. The lining is purple felt bought from this shop in Buxton. I am sure they enjoyed our stay, we all purchased at least one item from them! We dipped in and out of workshops as we fancied, nothing was compulsory and everything was flexible. 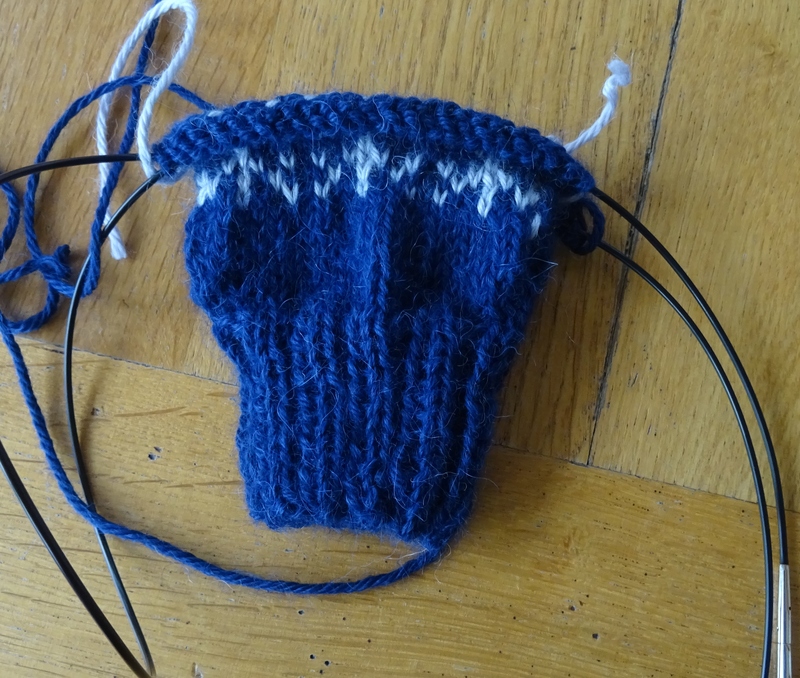 We had chosen 2 mitts patterns to work on together, although very few of us made much progress with them!!!! I did start mine…. Also, we worked on many other projects (I brought a hat and a shawl to work on). Although I don’t think very much was finished. Buxton has lots of lovely shops, so we visited the town every day for a bite for lunch and a bit of shopping…..did I mention the shops? So – knitting, crochet, shopping, eating, drinking laughing….such a good combination and one which we are sure to mix together again, and likely at the same venue! November is here, already. Remarkably I published my 11th crochet scarf design of the year last Saturday, the first of November. 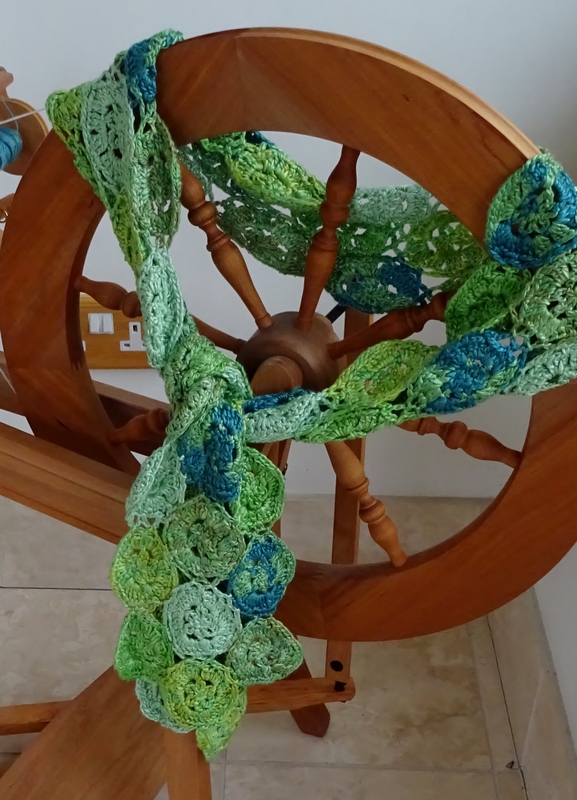 Here is Swirling Seas Crochet Scarf, named because the glorious green silk yarn shimmers and the design reminds me of swirling green seas. The silk yarn is one of my favourites from Willow Knits. Anne of Willow Knits has very generously offered a 10% discount on the yarns in her shop on Etsy to anyone who purchases the pattern (details on the pattern). She doesn’t just dye pure silk yarns, she has some lovely laceweight in silk/alpaca and silk/merino mixes. And until midnight GMT on 16th November, if you go to Ravelry to buy this pattern you will get 50% off if you use the coupon code NOVEMBER. Half price pattern from me and 10% off the yarn from Anne – Happy November! I am delighted and surprised that I have managed to keep up with my personal challenge. Only one month to go ……………but, although the December design is in my head, it hasn’t quite gone to plan. The design hasn’t worked with any yarns I have chosen yet – other than the acrylic I swatched with. Yes, readers I do sometimes swatch with acrylic yarn! But fear not, I do not plan to make December in acrylic………. (ETA I have nothing against acrylic yarn; these days it is excellent quality and comes in an amazing range of colours, but I do have a preference for natural fibres!) Yesterday I settled on the yarn and it is silk again, I have a lot of small quantities and will be using 20 colours in this. I will have to be quick to make it, write the pattern and find a couple of people who will test it for me before December…….wish me luck! The only thing that will stand in my way is a new design; yet another a challenge. 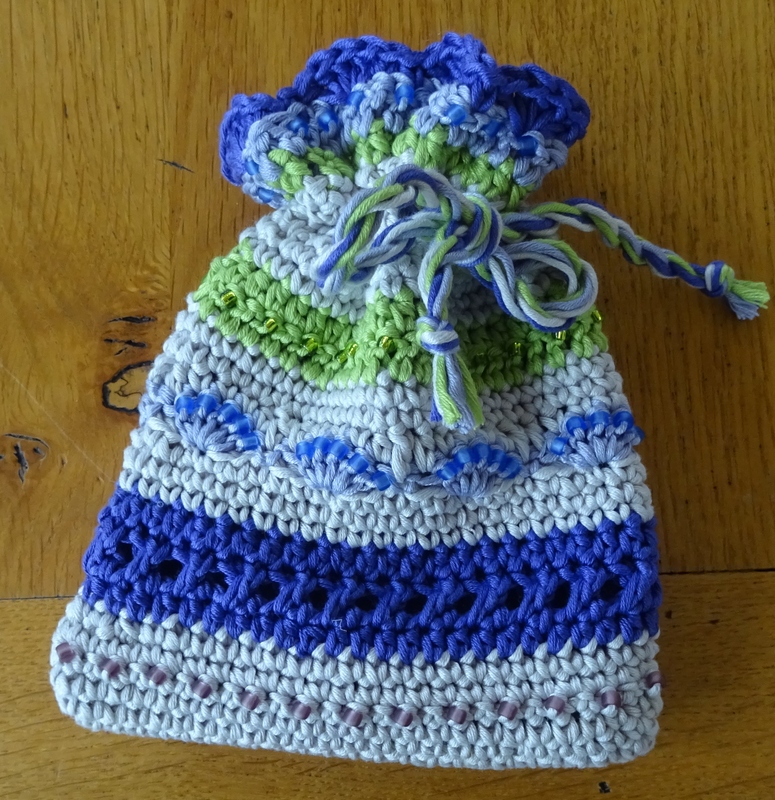 This time a challenge by Sigrun who is a member of my forum on Ravelry – she asked if I could design a crochet wrap pattern for her 2015 weather project. It had to be something that could be used with a range of colours that she will use, and she suggested the lovely fine lace yarn that I used for Bohemian Rhapsody. I do have a few scraps of that yarn left so I did some swatching and designed a motif that I think will work well. This is now charted and ready for me to start making the sample….and I have been patiently awaiting the yarn. 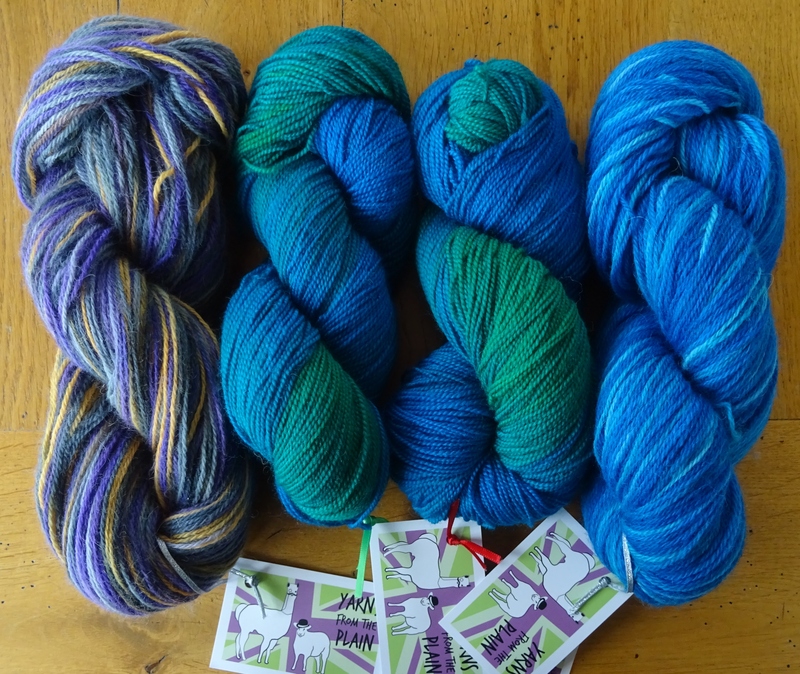 Yes, it had to be the exact same yarn, and it landed on my doormat yesterday having travelled all the way from France. I will have great difficulty deciding which of the 2 designs to work on – December or Weather? I will just have to move between them. I just managed to finish October instalment of the Kaleidoscope Mystery Blanket Club from the Natural Dye Studio. Only 2 more instalments to do now, so hopefully I’ll have a new blanket by Christmas. I have said it many times before, so I am repeating myself……I love this yarn! The single pure merino is a dream to crochet with. Here is October (sorry for the photo quality – I finished it at night and photographed inside with a flash). I am looking forward to Amanda’s 2015 Blanket Club – Zodiac. This is available in crochet and knitted versions. I have an insight on the design and I know I am going to love putting the colours together. 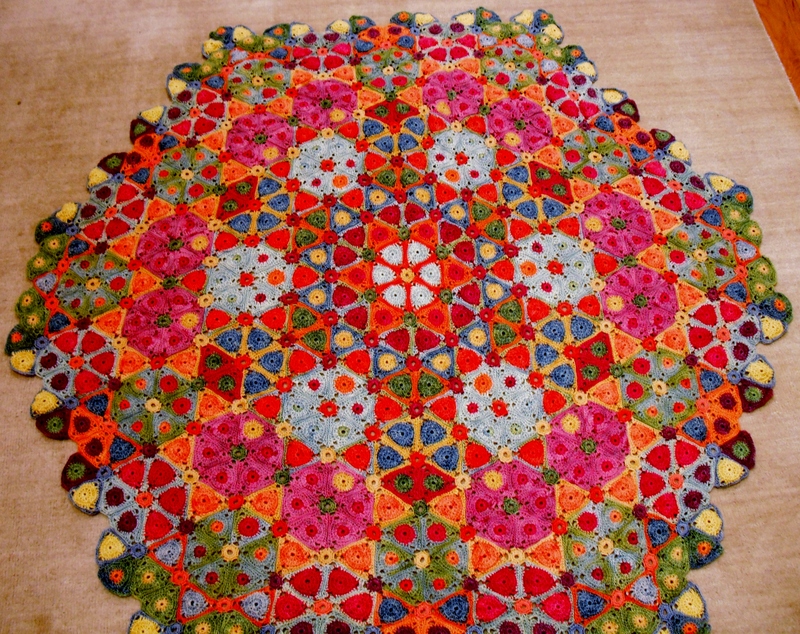 The Zodiac motifs are larger than Kaleidoscope and less than 300 are needed for the blanket, so the project will be quite quick to make. If you want to join in then you can sign up here. This is the last blanket club that Amanda will be doing for a while, so sign up now before they sell up! 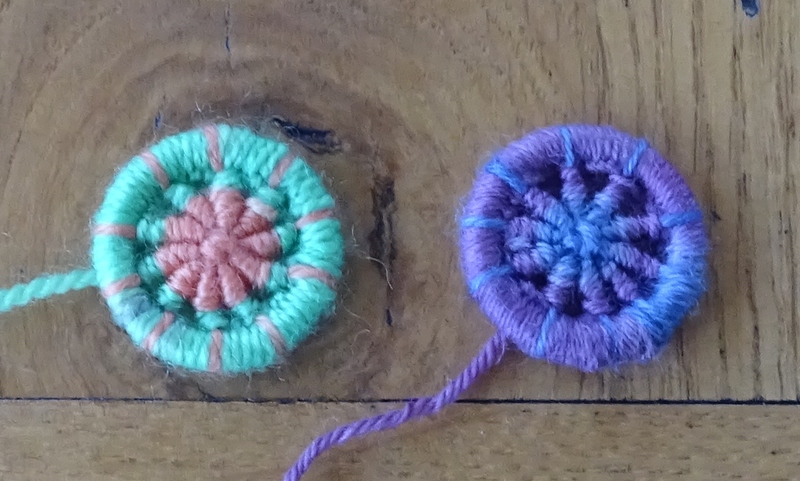 I’m off now to crochet something…….now do I choose December or Weather?